Last week, we brought you a story on the brand re-awakening of a known advocacy team based in Austin known as LIVESTRONG. Oh sure, you may have heard about the place. And you may recall the tumult caused by its founder a few years back. However, when you think about an iconic yellow bracelet, does anyone consider the magnanimity this organization has done (even still)? What about the more than $500 million it raised to date in the fight against cancer? DYK 82% of those funds have gone directly to support its programs and services for survivors? Its numerous programs and partnerships on behalf of cancer survivors? Nothing, huh? This is precisely why LIVESTRONG CEO Doug Ulman has hired a stalwart for branding and perception management, Ms. Ellen Barry, executive vice president of strategic communications for LIVESTRONG. NOTE to all PR Pros: Ellen Barry is a class act. Given the stink-eye by most of the public (including the PR community) in its direction, LIVESTRONG could benefit from an interview sans angle or tendency to poo-poo on public information. Many flacks would have hesitated at the thought of even a “friendly fire” interview given LIVESTRONG needs to create positive mojo in the public eye. Barry didn’t hesitate. In fact, she was happy to do it. The questions below are far from a grill session, but her answers prove she means business. There is strategy in these talking points, as well as a clear direction for LIVESTRONG to get on its bike again and start riding … strong. Good answers for sure. Good times indeed! 1. LIVESTRONG’s primary obstacle could be two-fold: Overcoming the stigma from Lance Armstrong’s fall from grace and earning the trust of donors. What is the PR strategy to do that? It sounds simplistic, but if we stay true to our mission to continue to help improve the lives of people affected by cancer today, we will succeed. One of the things we are doing now is advancing the idea of patient-centered cancer care. That is a necessary and important focus for the organization. LIVESTRONG is unique in that for 17 years we have been listening to cancer patients and survivors and using their voices to build programs and tools that serve their needs. That will not change. Staying focused on the cancer patient, survivor, and caregiver, letting everyone battling cancer know that he or she is not alone and that their fight is our fight is how we will succeed. 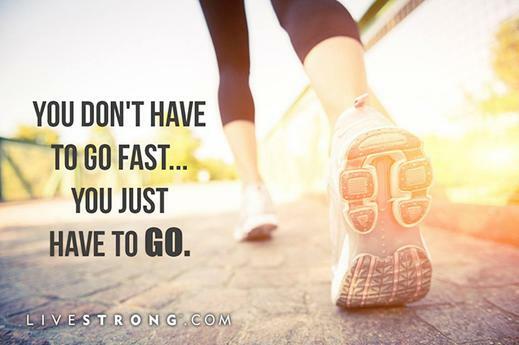 There is no magic bullet – just dedication to the mission and hard work. 2. Although jobs have finally recovered from the recession, the economy is still not what it was today. 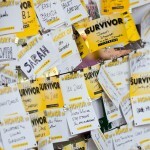 How does LIVESTRONG speak to people who may be experiencing donor fatigue or barely getting by? All nonprofits are challenged by the new realities of the economy. In fact, 82 percent of the monies donated to LIVESTRONG go to programs. Last year, we helped 325,000 people directly and look to do the same this year. We are dedicated to serving the cancer patient, survivor and caregiver. We are transparent about how our donor dollars are used and we are very grateful for every dollar we receive. 3. 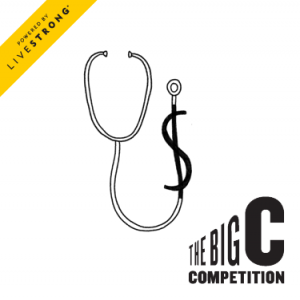 LIVESTRONG has an amazing track record of raising money for cancer research programs, advocacy, and public policy. What is the future for this proud organization? More of the same or a more finite approach to establishing awareness? 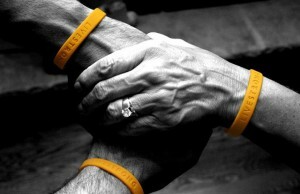 LIVESTRONG is a unique organization in that we deal directly with the patients, survivors, and caregivers. We also use technology to ensure that we reach as many people as possible. For example, we recently launched a social innovation challenge, The Big C, and received entries from more than 30 countries. The challenge is for entrepreneurs to use new technology and tools to create products and services for those facing cancer.